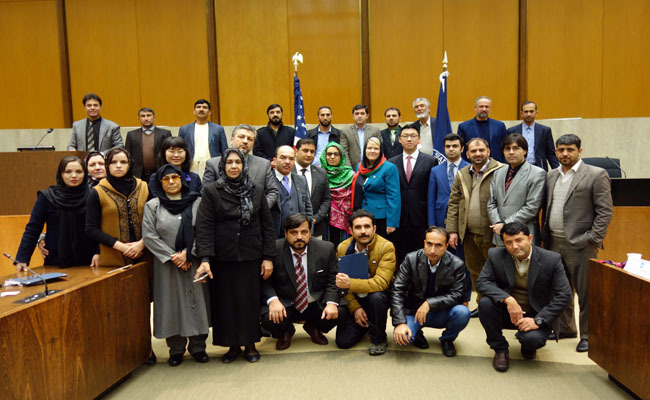 The closing ceremony of the US session of China-US joint training program for Afghan Cooperation and Reconstruction was held at the US State Department on December 9, 2016. On behalf of Chinese Embassy, Counselor Zhu Haiquan attended the ceremony and made remarks. 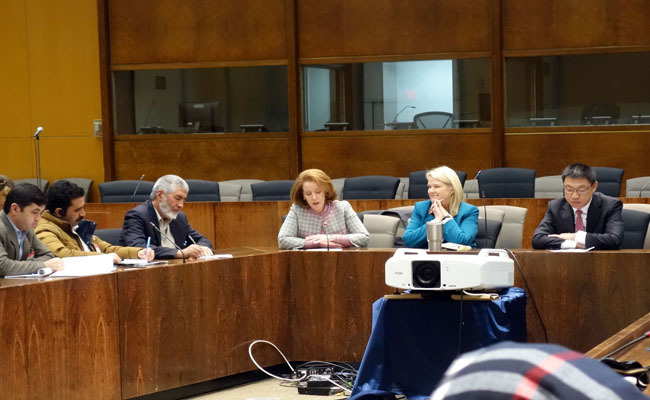 US Acting Special Representative for Afghanistan and Pakistan Affairs of the State Department Laurel Miller, Political Counselor of the Embassy of Afghanistan in the United States Abdul Nafay Sana and the Afghan agricultural and public health professionals under training were present. 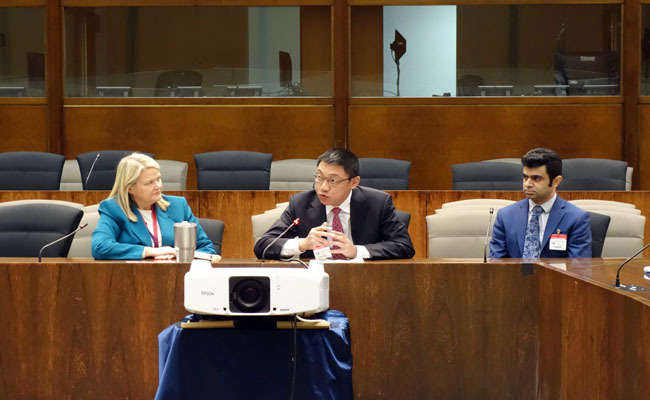 Counselor Zhu conveyed Ambassador Cui's congratulations on the success of the training program and said the diversified and inspiring programs have been held 6 rounds in both China and the United States. That could not only help with your expertise, but also help you to better understand the culture and people of both countries. China will continue this program with the U.S. as part of our joint efforts to bring greater benefits for Afghan people. China will continue to support the peaceful reconstruction and reconciliation process of Afghanistan and play a constructive role in helping Afghanistan to achieve unity, stability and prosperity at an early time. Counselor Zhu said this China-US joint training program has become an important icon that illustrates the shared vision and responsibility of China and U.S. to promote peace, stability and prosperity across the world. This successful model of cooperation should and will be applied to more areas in the future. A/SRAP Miller spoke highly of US-China cooperation on the Afghanistan issue and said the two countries have successfully organized joint training program for Afghan diplomats and professionals for several consecutive years. The program not only helped Afghanistan's economic and social development but also laid ground work for US-China cooperation in support for a secure, stable and prosperous Afghanistan. Counselor Sana thanked China and the US for their support and said the cooperation among China, the US and Afghanistan plays a significant role in promoting peace and stability in the region. With the help of both countries and international community, Afghanistan will promote peaceful reconstruction and development.